Join Hannah Eden on her 828.6 mile bike and run around Ring Road in Iceland. In memory of Jessica Boswell and to stand up and say F*CK CANCER. Some things in life make no sense. Sometimes we will never find the answers we are looking for. But no matter what unexpected elements life will throw at us. . . We have to keep fighting. On November 20th 2017 Jessica Boswell, a dear friend of mine was diagnosed with an aggressive form of stage 4 Colon cancer that spread to multiple organs. When Jessica and Jeff Boswell received the news, Jess was 6 months pregnant with their second baby boy. Baby Brayden fought for his life when he was born weighing 3.14 oz at 29 weeks and suffered from primi lung disease due to their underdevelopment. Jeff juggled his time between his terribly sick wife and fighting son for 90 days straight till baby Brayden was strong enough to go home. 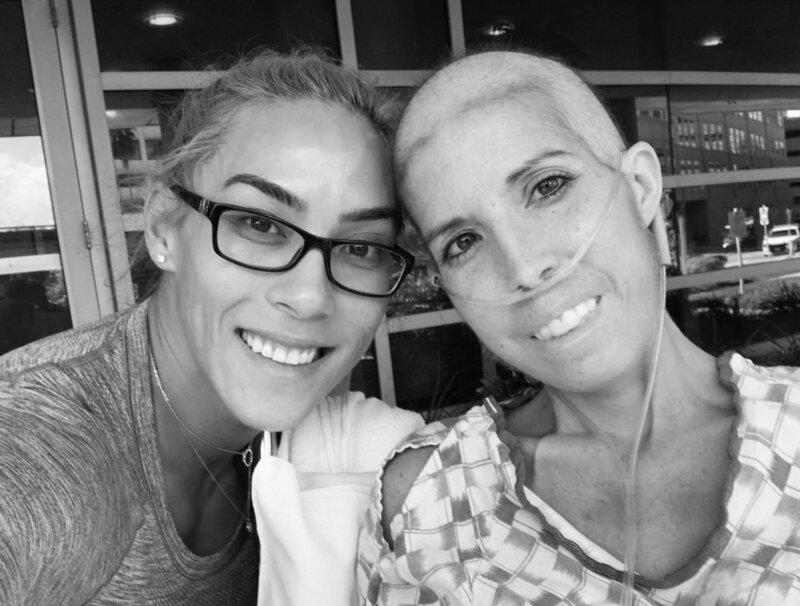 Jessica fought for four months and seven days. Throughout those 4 months and seven days I gratefully was one of the few people allowed in close to the situation. What I witnessed over those four months has forever changed me. I went to visit and stay with Jessica at Tampa General Hospital to offer my support, love, and company. Jessica smiled every day and so did Jeff. The definition of strength and fearless has taken on a whole new meaning to me. Jessica fought as hard as she could for her boys but unfortunately the cancer was too far along, and too aggressive for Jessica to win the fight. On March 27th around mid day Jessica Lynn Boswell took her last breath with Jeff, myself, and a friend present. Originally I was doing this 828.6 mile mission to show Jessica that she had support, and she was not fighting alone. Since Jessica passed this mission has taken on a whole new meaning. I'm doing this for Jessica, her husband Jeff and their two sons Channing and Brayden and anyone else in this world that has been effected by cancer in any way. I can’t wait to touch down on the beautiful mystery land. I will have so much time and space... Time is something I value now more than ever. I am looking forward to the nothingness in Iceland. There will be no sense of urgency. I know there will be times of silence with just the sound of my tired feet, and heavy breathing. I have been waiting for these moments since things have been a little heavy recently. I don’t like to be sad, or down... I’m saving it for the Ring Road. I will #FindTheRoad I will #FIND so much there. I know I will find sadness, anger, and the feeling of being so little in such a big world. I am looking forward to allowing myself to be vulnerable, and to process what’s been going on. I will allow the tears to flush over me and my squad to emotionally carry me through these times. I also know I will find closure, and fulfillment. I know I will find pain but the pain will subside. I know I will find more about myself than I knew before. I know I will find more trust in my team than ever. I know I will find Jessica's courage to keep moving forward and not be afraid. I know I will find Jeff's inspiration to lead and conquer. I know I will find Courtney's strength to never quit. I know I will find Paulo's love and support to be the woman I need to be to complete this mission. My plan is to bike 83 miles and run 20.5 miles every day for 8 days. I have been training so hard, focusing on nutrition, and “preparing” as much as I can for such an epic journey. I am thankful for Nordic Track and iFit for their undying support. I am taking action with the most inspiring group of humans that have fought a battle that most couldn’t. We are going to fight this battle together. We are going to take action to release our pain in a way that will positively impact the lives of people that are fighting a similar battle. Find out about our organization, mission, our plans, and Jessica's story.